【MASTER】75mm Stainless Steel Single Swivel Shackle Block – Superyachts News, Luxury Yachts, Charter & Yachts for Sale. 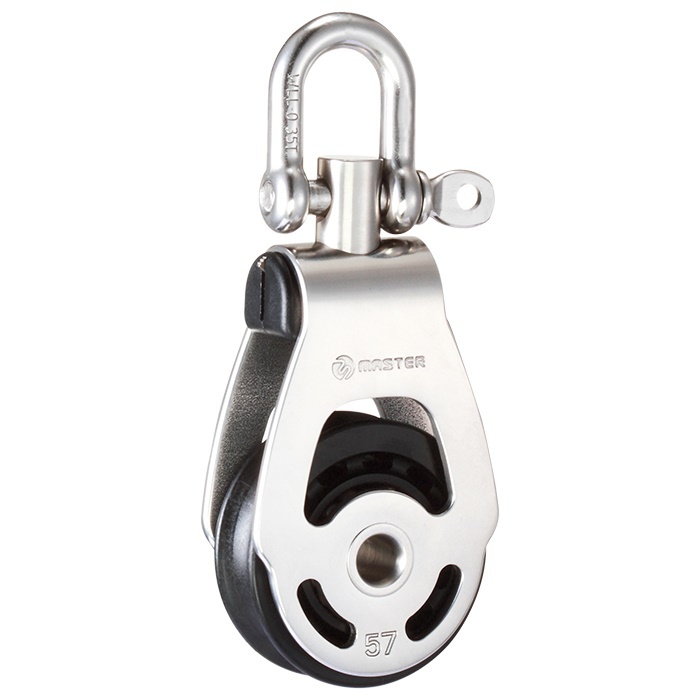 An exclusive Face to Face locker system can be easily engaged to position shackle in either of two directions or just free to swivel. A locker system also can take more loads then traditional ways without damaging the block and hassle. Patent pending in Australia, US, UK, France, Netherlands, China, Germany, and Taiwan.